Is it time for my birthday again? 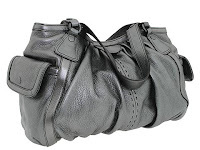 No…sadly it was just a few weeks ago, but I still want this Cole Haan bag…I love the gunmetal color and the outside pocket is perfect for my Blackberry. I have added it to my imaginary wish list on Zappos.com.